My birth story starts on Wednesday 23rd September 2015. My due date was approaching on the 27th, however in order to avoid feeling fed up as soon as that day came, I had my 42 week date in my head and was convinced my baby would be late. Over the past few weeks, baby had been changing from back to back to a ROA position (back of baby’s head on right side and towards front of tummy). In order to try and get baby in a more optimum position, I was spending a lot of time on all fours, leaning forward, on my exercise ball etc. I even tried acupuncture on the Tuesday before things started to happen (which may have contributed to things moving along). So on the Wednesday, I lost my mucus plug and was getting some mild period pains all day. I went to bed that night wondering if things might progress, so had ensured my home delivery/hospital box was well stocked with everything I might need for the labour, either at home or the hospital if that’s the route the labour took us. However, nothing happened all night so Ian went to work as normal on Thursday and I took the dogs for an early morning walk with mum. At this point, I was experiencing what I believed to be contractions, or surges as I referred to them, however they really didn’t feel any more than period pains. I was supposed to be meeting a friend for lunch, but by mid morning, I wasn’t really feeling up to it (it would’ve involved a 30 minute car journey) so I cancelled that and just spent the day at home, mainly on all fours! Throughout the day, I was having mild surges, but they weren’t at all regular and weren’t getting anymore intense. It was a great opportunity to practice my breathing techniques I’d learnt through hypnobirthing. It was also at this point that I put a few drops of clary sage oil on a tissue and I was smelling that during every contraction. At about 6.30pm, I picked Ian up from the station. I had a surge as I drove back and had to slow right down! But it was still very manageable and I was just pleased I could practice breathing through each one. 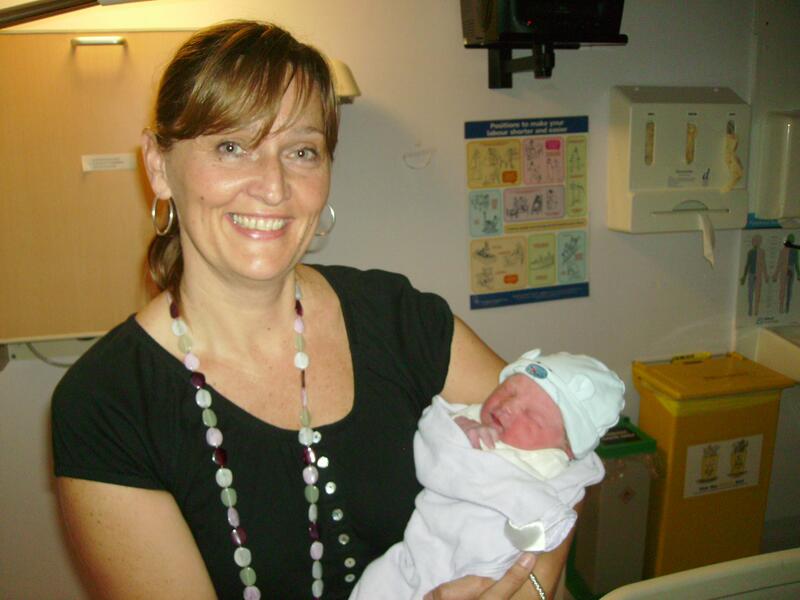 I called Michelle, my 121 midwife at about 7.30pm just to let her know what was happening. I wasn’t sure if things were going to continue progressing or whether they’d all come to a standstill and I’d be waiting a few more days before they started up again. Michelle was in the area so she popped in at about 8pm to drop the birthing pool off. She had a feel of my tummy and confirmed baby still felt slightly back to back. She had a listen to the heartbeat and all was fine. She told me that she was actually on a days annual leave tomorrow (Friday), but said as it was a first baby, chances are I wouldn’t need her so soon. She advised me to just carry on doing what I was doing and to keep her updated. I had pasta for dinner – carbs to keep my energy up should I need it! I had bought a TENS machine just a day or two before so I was playing with this later in the evening. I went up to bed about 10pm as I wanted to try and get some rest. Ian came up about 11pm and by this time, the surges were definitely becoming more intense. They still weren’t particularly regular but I was starting to feel quite sick after each one and started wandering to and from the bathroom as didn’t quite know what to do with myself. I don’t think I really managed to sleep in-between the surges, but I was at least trying to rest and conserve energy by going back to bed. By 1.30am Friday morning, I started to time the surges on an app on Ian’s phone. I had asked him to take over the timings as I was still using the TENS machine and had too many buttons to press as well as remembering to do my breathing! I’m not sure the TENS machine made much difference, but it was a good distraction and quite a nice sensation. I found that where I could feel the contractions on my tummy, it was nice to balance it out with the feeling of the TENS machine on my back. It made sense to me at the time! At no point did I have any back pain during my labour and the midwife delivering said baby wasn’t back to back, so she must’ve turned very easily at some point. By 2am, the surges were about 10 minutes apart and lasting about 1 minute. At one point, I was in the bathroom and shouted to Ian ‘start’, indicating the start of a surge so that he could time it on the app. As I was breathing through the surge, he was asking what I had said and came into the bathroom just as I said ‘stop’. I think we missed timing a few surges due to miscommunication! By 4am, the surges were 5 minutes apart, so I asked Ian to call the midwife. We knew Michelle was on annual leave, but we didn’t realise the on call midwife, Heather, was in Brightlingsea-about an hour away. She had just finished at another home birth so sorted herself out and made her way over to us. In the meantime, I asked Ian to start filling the birthing pool up. First of all, he had to fit the liner, which meant deflating the pool slightly in order to put it on. We had prepared the hose and attachment in the prior weeks. We had tried 2 other attachments to the tap, but neither worked, but we were confident the 3rd one was ok-it was a huge, industrial looking thing that my dad (a plumber) had got for us. We’d attached it to the bath tap upstairs with the hose running down to the birthing pool in the lounge. I was in the bedroom, on the floor on all fours, rocking/swaying through the surges and I could hear Ian trying to fill the pool up, but the adapter had fallen off the tap! I remember thinking that I might have to go and hold the hose on the tap, but luckily Ian had managed to reattach it. Afterwards he said he was really panicking and kept running up and down the stairs checking on the water level in the pool and that the hose was still on the tap upstairs-although he did a very good job of seeming very calm to me! At one point I asked him if it was nearly ready, to which he responded, “yep, nearly”, knowing that it had actually only filled up by a couple of inches! I came downstairs just before 5.30am to get in the pool. I remember thinking thank god I only had to go downstairs and didn’t have to make that journey into hospital. I stopped at the lounge door and held onto Ian as I was having a surge. Ian had put on my hypnobirthing music (Hanshan Temple-I used to listen to it during relaxation in the pregnancy yoga classes) and had put the clary sage oil in the burner. We had dimmed the lights and it was such a relaxing atmosphere. I got into the pool and relief rushed over me. It was lovely and warm and I remember thinking it was just the best thing! Heather turned up a few minutes later. I was mid-way through a surge when she turned up so didn’t even acknowledge her until a few minutes later. She took my blood pressure, listened to baby’s heartbeat, then sat on the sofa filling out notes. I didn’t want too much interference and specifically requested no internal examinations. I really believe this helped with keeping everything calm and relaxed and the surges regular. I knew Heather was there if I needed her and she was certainly monitoring me from a distance, but I was in the zone and letting my body get on with it. Ian kept giving me coconut water whilst I was in the pool to keep me hydrated-it was so refreshing. He was fantastic and kept reminding me to go to my control room and to remember my breathing. At one point I said to Ian that I wanted to know how far along I was. He quietly spoke to the midwife in the hallway and she said obviously she could do an internal examination but they both knew I didn’t want this. Really I just wanted the midwife to tell me the impossible-that it was nearly over! Obviously something no-one knows for sure! At this desperate time, I was so pleased that Ian and the midwife were familiar with my birth ideal. I remember hearing Heather call for a second midwife. I felt so relieved and knew it must mean I was definitely advancing as they have the second midwife there for the delivery. I also felt reassured every time Heather checked baby’s heartbeat, as each time, I noticed the Doppler lower down on my tummy, so knew it was moving in the right direction. I’m not sure what time the 2nd midwife, Claire, turned up. By this time I really was completely in the zone. I remember Ian telling me she had arrived and saying “look, a familiar face” as we had previously met Claire, but I can’t say I was too bothered either way! Both her and Ian were helping me with my breathing as it had gone out the window a bit at this time. As I went through the transition, I said I couldn’t do it anymore. Heather reassured me that I was already doing it, to which I thought, well ok, I don’t want to do it anymore! During the last check of baby’s heartbeat, the midwives struggled to find a reading. One midwife was checking my pulse and I heard her say, “that’s definitely mum’s heartbeat”-they were obviously picking up my slower heartbeat through the Doppler. Ian felt quite concerned at this point, but I was just thinking that baby was lower than that and it was all ok.
As I got closer to delivery, I could feel baby’s head, but also felt it keep moving back up after each surge. For me, that was the hardest part. I don’t know how long this went on for, but Claire helped me breathe through this and I didn’t actually ever push-just let my body take over. Ian originally thought we’d had a boy (no, that’s the cord!) When I realised we’d had a little girl, I was so surprised (and thrilled) as I was convinced throughout the second half of the pregnancy that we were having a boy. We had great skin to skin contact in the pool whilst we waited for the placenta. After about an hour, Ian then had skin to skin. The placenta took a couple of hours to deliver and in the end, it only delivered by me having the injection. Unfortunately I had to go to hospital for stitches (as a result of Eden coming out with her arm up) but I couldn’t have wished for a better birth. I was in the comfort of my own home and it was such a calm and relaxing atmosphere. Although I know I was very lucky with how well my labour went, I’m sure all my hypnobirthing practice really helped me to stay calm and focussed throughout the pregnancy and labour. I also think being able to stay relaxed at home really helped with the progression of my labour. I’m naturally quite a stressy person and I’m sure had I travelled into hospital mid-labour, adrenaline would’ve kicked in and slowed my contractions down. Writing my birth story has made me feel quite nostalgic about it and brings back lovely memories and certainly not ones of pain and fear. I just hope I’m as lucky next time! Going back upstairs at 6.30 Dan woke up as I went back into the bedroom and I told him my waters had broken but not much else had happened. I was due to see Laura (midwife) at 12 for my full term appt so we decided just to text her and our doula and ask for advice. Laura recommended holding out til she came at 12 so we lay back down to try and get more rest and I continued using the pressure points on my thumbs. Neither of us was getting back to sleep and my cramps were getting stronger so we got up and dan started setting up the birth pool just in case. From there things progressed rapidly and by ?7.30 it was clear labour was starting so dan called Nikki (our doula) and asked her to come over. Dan put some music on and I listened to the hypnobirthing track I’d been practicing with and just focused on relaxing and regulating my breathing. From there everything went very quickly for me and I felt completely in my own world with my eyes closed most of the time. I know I was pacing around the house between contractions and spending time leaning over the mantelpiece or on my knees leaning on the sofa whilst dan or Nikki rubbed by lower back. Gently dancing and cuddling into dans shoulder in the ‘slow dance’ position also gave me massive relief. I was shivery and cold despite it turning into a beautiful day outside so we lit the stove in the sitting room. I was aware throughout that dan was preparing the pool and staying in touch with Laura and at 11.30 Laura gave the go ahead on the phone for me to get into the pool. I know I said no initially – not because I didn’t want to but because I thought I was still quite early on and didn’t want to risk slowing anything down! After the next contraction however Nikki persuaded me it would be a good idea and I got in. The relief of the warm water was amazing! Laura arrived around 12 and quickly realised I was further along than we all thought. Dan poured warm water over my back and Nikki continued to rub my back and buttocks (how did she reach?) whilst Laura had to climb round the pool to be able to see what was happening. She checked baby’s heart rate which was all fine and was the final thing I needed to relax as I had been slightly worried I’d not felt baby’s movements since my waters went. I was aware of baby’s head moving down and Laura saying I was crowning and thinking it was odd I hadn’t had the ‘I can’t do this’ phase at transition or felt the need to ask for the gas and air. The ‘ring of fire’ also wasn’t half as bad as I’d expected – it was more immense pressure and Laura and Nikki had to coach me then with my breathing to stop me pushing too hard to birth the head. At the time I felt I was starting to make higher pitched noises on the exhalation and Nikki reminded me to lower into vowel sounds. Once I’d changed my breathing the head birthed and Laura said with the next contraction he’d be here. I felt more of him come through on the next one but he wasn’t out – turned out little monkey wanted to come into the world superman style with his hand by his head so that second wave had been his arm and shoulders coming through. Laura encouraged me to reach down to feel him and it was in he next wave that he came out fully. I needed Laura’s help to fish him out properly as he was wrapped in his cord but then he was in my arms. Looking down to see he was a boy my immediate reaction was if I had dreamt the whole thing as it all went exactly as visualised in hypnobirthing practice and was true to my gut instinct of him being a boy. Writing this now (4 days post birth) it still seems surreal. Deana (midwife) and their current student arrived a few minutes after he was born to the sound of a healthy pair of lungs announcing his arrival to the world. We waited for the cord to stop pulsing and then dan cut the cord and took Charlie skin to skin for his first cuddle whilst I birthed the placenta. We’d opted for a physiological 3rd stage and it seemed to take a while to come. I had to mentally refocus and tune back into my breathing for the placenta to come away. Official stats were 4 hours of active labour with Charlie arriving at 12.43 pm weighing 7lb 9. Afterwards dan, Charlie and I snuggled on the sofa whilst the midwives checked us all over. I had a slight graze to my perineum and slight tears to my labia but nothing that required stitches. Everyone was surprised after the extra arm up so shows the perineum massage prep and being relaxed really helps. The mw helped us to breastfeed and fortunately Charlie took to it straight away. All in all it really was the most incredible birth experience. The hypnobirthing lessons and practice were invaluable, as was the support of dan, Nikki and the midwives. For anyone wanting a positive birth experience my advice would be to choose your birth team carefully, prepare mentally and physically with hypnobirthing lessons, reading, perineum massage etc and choose to birth wherever you feel most relaxed. For me, that was always going to be at home and I have 100% confidence in our fabulous Surrey Hills Home Birth team – we feel very blessed to have access to such fabulous midwives on the NHS as we were expecting to have to go privately to get this level of care. I would also recommend everyone hire a doula if they are in a position to do so – it was invaluable to me with the support, breathing coaching and pressure applied to my back that got me through without medication and gas and air, and great emotional support for Dan, especially with labour progressing so quickly! 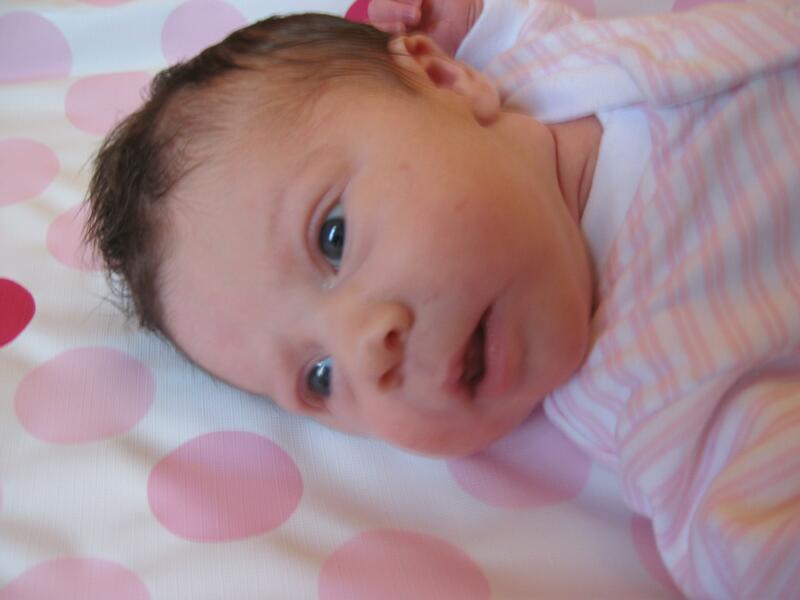 My due date was 21st-22nd sept (I had been given two different dates by midwives & a private scan). Our daughter Ezra (nearly 3) was 5 days early so I was full of expectations for another early delivery. 39weeks + 2days came and went, then 39+3 etc etc! I was thoroughly fed up. However at 2am on Thursday 18th sept I woke up with a fairly intense cramp in my uterus. I thought “I recognise that feeling”. I really believed it must be it and laid awake for three hours waiting for the next one, which bar a couple of niggles didn’t ever come! I finally went back to sleep for an hour until Ezra woke at 6.30am. In the morning I took Ezra for a short walk to the post office before going to a friend’s to see if it would kick start anything. It didn’t! On Friday 19th Sept I felt fairly crampy all day but it was quite difficult to tell due to being busy all day. I cleaned the house in the morning, then Ezra and I walked to the swimming pool and went swimming for an hour. After the walk I lost a small amount of my mucous plug. We then went to the circus with friends & out for dinner afterwards. Overnight I was quite crampy & into Saturday 20th Sept when the cramps became a bit more intense. I had some more show overnight. As the cramps had become more intense overnight I wasn’t sure what to do on Saturday but we decided to take Ezra to her rugby tots class in the morning. I text the midwives, Helen (friend) & Kate (photographer) to let everyone know things were likely to happen soon! We came home for a short while then went to Sainsburys. Came home for lunch and then went for a walk around the garden centre. I was still crampy so when we got back I decided to have a bath to relax but within 5 minutes Ezra was wanting to join me. At this point everything stopped. I was quite disappointed but carried on as normal. After putting Ezra to bed at 7pm the cramps returned. We watched the X factor, the Xtra factor & then MOTD (zzz! ), before going to bed around 11pm and Falling asleep as normal. Ezra joined us at some point between then and 1am. At 1.30am I was woken by a very intense cramp. I was desperate for the toilet so went & then things started to intensify. Around 3am I asked Matt to go and blow the birth pool up. Ezra stirred a little but didn’t wake whilst he was doing this. When he came back it was around 3.30am and things were even more intense so I asked him to fill it half way with just hot water. I thought this would significantly reduce the time needed to prepare everything so I could get in as soon as I needed to. Also give it time to cool. I asked Matt to be quick as I was worried about Ezra waking when I was in the middle of an intense cramp. Matt misheard and though I said be quiet so stayed downstairs to “leave me to relax” arghhhh! When it got to 4.30 am I knew I needed to think about calling Helen but having originally thought I’d hold out until 6am I pushed through until 5am in the hope Matt would come up and make the call for me but he didn’t! I phoned Helen who said she’d have a quick shower then leave. I managed to call Matt and get him upstairs. After a few choice words he didn’t leave again until Helen arrived at 6am. For the whole 4.5hours I managed to stay in bed resting & sleeping in between the uterine ripples. I was very aware of needing to conserve energy & not missing a night’s sleep. I was fairly comfortable in between the ripples and didn’t want to change this. Throughout this time I was mentally working through it using a variety of techniques. I used the HypnoBirthing relaxation techniques, visualisations & breathing however I also did some maths! This is something I do when out running & have actually discussed with a fellow runner & hypnosis for running book author. Many runners will do this type of thing to get through long runs. In my opinion labour is mentally challenging in the same way difficult runs are. I know that one obstetrician said it takes, on average 75 contractions to deliver a second baby. I was counting my contractions then working out the time that I would need to call people, get in the pool etc. all based around the 75 contractions statistic. I did keep in mind not everyone fits the stats! Interestingly I timed my contractions on an app from 1.30am to when I got in the pool, I had 66 contractions. I was in the pool for 50 mins & Helen said I contracted every 2 minutes – approx 25 contractions so would mean approx 91 contractions in total. Bearing in mind I know it slowed down when I first got into the pool so minus a few contractions I think I fit the stats quite nicely!! Doing these sums kept me focused and in control. I am full of admiration for all birthing women though. Many people don’t have the knowledge and experience of these techniques that I have being a HypnoBirthing practitioner yet so many manage something so challenging, so well it’s incredible. Helen did an internal examination at my request at around 6.30am. I really wanted Tanya & Deana to be my midwives as they had delivered Ezra. I knew Tanya was working on the Sunday as she was due to visit me but I didn’t know who was on call overnight. I wanted to hold out as long as possible so that Tanya would be working when we called. I hoped that having Helen examine me would mean we could wait for Tanya. Helen said I was 4cm dilated (though she has since confirmed she was”being stingy” with that!) We agreed I’d get into the pool then we’d call the midwives. I txt Kate (photographer) to arrive at 7.30am. At 6.30am just after Helen had checked me Ezra woke up. Matt took her downstairs to get the pool totally ready. I went down at 7amish and got in the pool. The relief was immense. I cannot shout from the rooftops loud enough. I feel that getting in the pool reduces the intensity felt by 50%. It is incredible. When I was in the pool I felt far too hot. I was asking for all of the windows to be opened and a fan on me. There was one comical moment when Kate & Tanya arrived. They were taking a little while to come in so someone put the door on the latch. When the door had been opened it felt so nice to me. The cool air coming through was so amazing I said to leave the door open, until I realised the pool was in full view of the front door and we have an alleyway running straight past our front door! Helen called the midwives and requested Tanya and Deana. As it was they had actually told the on call midwife that if I called they wanted to be woken & sent to me! Their dedication & commitment is incredible – especially as Deana was on annual leave! At 7.30am Tanya & Kate both arrived. As soon as I saw Tanya I felt the urge to push. It was very intense. Very soon after I could feel the head coming down. Deana arrived at 7.45am. My body pushed and pushed then at 7.50am Shiloh was born. Shiloh wasn’t too interested in feeding immediately and the placenta felt like it was taking a while to come but it was actually just 15 minutes. I was a little more uncomfortable than after Ezra’s birth, the midwives said this was because I hadn’t been in the pool for as long so my skin wasn’t as soft. After the placenta was delivered I lay on the sofa with Shiloh for a couple of hours feeding & having skin to skin time. 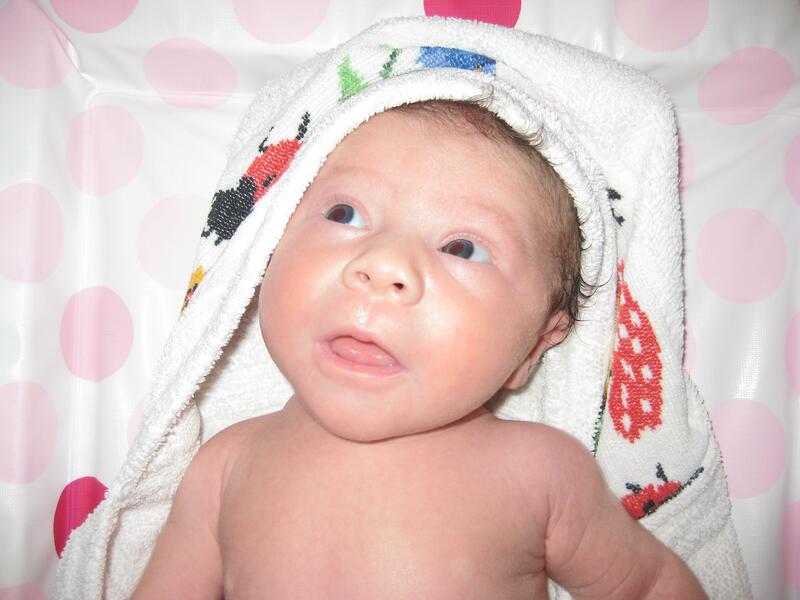 I then had a nice shower with Ezra & life resumed as our new normal! Please enjoy the below video showing the last 20 mins of my labour but bear in mind this was absolutely no representation of what I was feeling. It’s only watching this back that enables me to realise how powerful HypnoBirthing is as the intensity of the feelings was far greater than what it looks like! Zoë’s birth story It was Wednesday December 18th 2013, the day my husband said Zoë would be born. She actually wasn’t due til January 2nd and I was convinced she’d be late like her brother nearly 3 years before her, but for some reason my husband had settled on this date. I had invited my tribe and their little ones round to keep me company, and as we worked on a scrapbook for an 18th birthday gift we joked that Zoë was on the way as I felt very mild ripples passing through my body. They became more frequent but still I scoffed, putting it down to Braxton Hicks, brought on by my toddlers frequent breastfeeding that day. The ladies and babies left me and my little boy alone at about 4.30pm just as dusk was setting in. The Christmas tree lights twinkled in the half light and Michael buble’s christmas album played softly in the background as we went upstairs to nap. It was just as my boy fell asleep that the pressure really started to kick in. I left him snoring on the bed thinking that all I needed was to go to the toilet. I text my husband to warn him I might have started labour and to get ready to come home early from work. But a few minutes later the pressure built up to an all mighty crescendo, I was definitely in active labour!! Now I was screaming down the phone at him, whilst he ran down the hill towards Guildford train station, all the time he was telling me to keep on top of my breathing and go to that control room in my mind. Having to hang up so he could rally his mother to the scene to look after Zach I started to panic!! I was on my own and really felt the need to push, Zoë wasn’t going to wait! My first instinct was to get a neighbour, who happened to be a nurse, but this involved leaving the house with no pants on. Sod it, I thought, swallow that pride you need someone with you. Hopping over the wall I Hammered down her door, she answered promptly and jumped into action. She called the paramedics and looked after my confused little boy. Now all I needed was my husband, my birthing partner, by my side to keep my mind on track for a more peaceful birth. The pressure was so great I couldn’t think straight, I had to zone out in-between the now very close together ripples to conserve energy. I was totally focussed on my breathing and got onto all fours, leaning over the sofa. Knowing that I’d soon meet my beautiful daughter helped me through the worst of the pressure, as well as a good old scream. The Christmas tree lights were still twinkling but buble had stopped playing, it was dark, but it helped my focus. Over the next few minutes lights went up and slowly the front room filled with people; paramedics, a midwife, my mother in law and husband, all joined Zach and the neighbour. The lovely male paramedic immediately offered me some gas & air, stating, regrettably, that it was the only pain relief they had. I sternly said NO, I think he was somewhat taken aback. I was determined not to have any pain relief, not only because it would make me throw up but because I wanted a different, more positive experience than I had with the birth of my son by emergency C section almost three years before. Back then I took all the pain relief I could after a back to back labour that lasted for 12 hours; this time I was informed and sticking to my guns, we were VBACing au natural. In the meantime someone had put Buble back on, he was memorably singing “all I want for Christmas” which has now become Zoë’s tune. The lovely paramedic continued to offer me the gas and air at appropriate intervals, which was always met with the same assured response. I think they all thought I was mad! By now I’d lost all sense of time, even though it hadn’t been long since active labour had started it felt like forever, and I was tired, but my husband kept me going. Reminding me to concentrate on my breathing, relaxing me with light touches with his fingertips to my back, adjusting my position from time to time from all fours to assisted squatting, and giving me words of encouragement after each ripple was spent. I was parched at some point so my mother-in-law brought me some water, she was so involved in talking to my husband she didn’t realise she was standing on my hand! I continued to focus on the birth, that was the least of my pain. I had actually originally thought about a home birth for Zoë but was denied due to the complications with Zach, maybe I was about to get my wish. Either way I knew I was going to meet her very soon. With a slight pause in the proceedings, and the second midwife stuck in traffic, it was sadly decided we should adjourn to the hospital. So weaving through the back roads of Guildford to The Royal Surrey, over speed bumps and through red lights with sirens wailing, I clung on to the gurney on all fours for dear life. At one point it broke a bit too hard and I was almost catapulted through to the front, but my husband hung on to me, it really took all my remaining strength to hold on for the duration of the journey! The ambulance slowed for every push but still no baby appeared. When we arrived, with midwife and paramedics in tow, we rushed through the lower levels of the hospital, panting to delay pushing for what felt like a lifetime. Within the confines of the maternity ward I was finally allowed to push, I pictured the lily opening, the final ripples pulsating across the lake and within seconds Zoë was born at 6.27pm. Our pregnancy journey was over, a new one was about to begin. A euphoric feeling washed over me. Zoë nestled on my chest and immediately rooted for the breast, she fed right away, latching perfectly, she knew exactly what to do. With no complications the midwifes were in no rush to clamp the cord and waited for it to fully stop pulsating, ensuring Zoë got all the goodness it held. It wasn’t much longer until the placenta came and they finished stitching me up while Zoë was quickly weighed and passed to daddy. Breathing in her sweet newborn smell together we knew our family was finally complete. We also knew bringing her home to enjoy our first Christmas as a four would be the icing on the cake. So I can’t say why for any reason I chose the 18th December as Zoë’s due date. I probably plucked it out the air and rolled with it for effect but I like the idea my bond with her started early and I knew she was ready. So when some gentle practice ripples started for my wife Jess during the day of 18th December 2013 I smiled as I sat at my desk at work, thinking the mind can do great things. I carried on writing next years business plan and the day ticked by until my mobile rang to say ripples were feeling more powerful and immediately I offered to come home and put Jess at ease. Our birth of number 1 was anything but straight forward so 2nd time round we had done all we could to help things run a little smoother. The main change was inviting Juliet over to help us learn about hypnobirthing. At first discussion I imagine I was quite dismissive but once Juliet turned up she relayed a clear message to us…simply put “knowledge is power” the sessions taken over 3 evenings were based around learning about the stages of labour and understanding what was happening so that we kept Jess’ body free from fear and to simply respond and work with the power of nature. As I walked into my lounge my first job was evident…do not panic that she was bent over the sofa screaming with parademics, mother in law, neighbour, midwife and our son all looking worried. My mind said I was here now and all would be fine. I blocked out the surroundings and immediately set about breathing techniques with Jess. We tried some squat positions but had had little time to practice so returned to knees again. I remember trying the gentle lower back feather massage and Jess responded well. Jess on the first birth had asked for every drug available to ease the pain. On this occasion each time a paramedic offered gas and air it brought Jess out of her zone to adamantly decline. An hour rushed by and we were set for an unplanned home birth but despite our best efforts the 3rd time the midwife suggested hospital sounded more intent than her previous efforts. So we moved to the ambulance and still I remained positive and calm. I put this dowm to the amazing control of my wife and the education from Juliet that the words I can’t do this anymore meant Zoë was on her way out to meet us. The journey was a moment of change that led to me focussing as much on the route the ambulance was taking as I was on the midwifes changing expression after each push. As we climbed off and begun our journey through the corridors of the royal surrey, I thought back to the night my son was born and I witnessed a birth in the maternity ward lift. The irony was not lost but me being a cautious man, I was pleased to be in the hospital and as we apprached the delivery suite Jess was told not to push until safely inside. We assumed a comfortable position and I continued with the light massage, reassurance and controlled breathing until I was pulled down to the business end by a smiling midwife excited for me to see her head. 5 minutes must have been all we waited Jess was going to do this completely as nature intended and my pride beamed accross my face. How different this birth had been and how much more in control I felt. I sat back and watched Jess immediately latch Zoë onto her breast and my final thought before focussing on all the joy ahead was the choices we made in preparing for this day albeit 2 weeks early had given us an option to control the birth and do it as we wanted to. Thank you Juliet for enlightening our minds and next weeks lottery numbers are ……..
On Saturday evening (@38+3) Enzo’s movements felt different & I thought he was probably engaged I kept up my visualisations as I breathed thru contractions which were every 9 mins or so from around 10:00/10:30 (I was really regretting not doing more preparation since the contractions were hard to cope with & I was expecting a far longer labour because of how long Felix took…) By midnight I decided to get up… Kept wanting to go to the loo (in retrospect, I was probably already feeling a bit pushy here) …. Told Amar we needed to set up birth pool, (he was still in denial… quite convinced I was trying to trick him in to going to bed…) but the more I moved to try & help the more I contracted, so called delivery suite… They said I seemed very calm & to call for MW to come when I felt things were closer to the birth… I should’ve said then that I felt things would go fast… Instead I crawled (fast) upstairs to loo… It was probably around 1am at this point. As soon as i sat down there was an explosive pop & mucous plug went flying… Then I was yelling for Amar, I’m pushing, call them back & call 999… He was a bit flustered… While on phone I was shouting to him (he was running up & down stairs doing various things…), “I can feel his head!” He was crowing… MW on phone was saying to get off the loo… Was a fair bit less comfy on all 4s on the landing! (Still had the wherewithal to tell Amar to replace brand new towel he offered me to kneel on with an older one!! Lol..) I half heartedly tried to hold things back by putting my bum up in the air, but that felt so wrong I just went with it… Trying to hold myself so I wouldn’t tear (I did…) and he was out in about 2 pushes (1 for head & 1 for body), waters went as he crowned. Amar caught him & called delivery suite back (he dropped phone to catch Enzo).. He cried, so everyone was happy he was breathing! I managed to sit myself down on landing & feed him… Was a bit uncomfortable with contractions to deliver placenta, so decided to sit back on loo & with one push after I sat down caught it whole as it came out…. We were going downstairs, Amar carrying baby & placenta wrapped in towels, when ambulance crew knocked at the door! (Thankfully they didn’t ring bell & dog didn’t hear knock, so Felix slept another hour or so…) They weren’t even sure I was the mum when they arrived cos I “wasn’t a gibbering wreck” as the male paramedic put it! Lol… They seemed a bit at a loss for something to do… But gave us a nice warm blanket & took my bp… MW arrived a bit later, & all got a cup of tea & a clean bill of health… I had 2nd degree tear that she stitched (probably from episiotomy scar…) & some g&a for that (1st time I’ve tried it!) Felix woke up & saw Enzo & watched MW stitch me up… He was very curious & a big hit with paramedics & MW… And through all this time Enzo nursed pretty much non-stop! So, by the time he was eventually weighed he was 7lb 1,5 oz… But probably less than that at actual birth!! I decided to try hypnobirthing before I was even pregnant as I have always been totally terrified of giving birth and thought it would be worth a try. I’ve never been good with any type of pain but finally the yearning to have a baby had overturned the fear. I found Juliet to be really friendly and felt so comfortable chatting with her about our worries and hopes. It was so relaxing that she came to our home and we were not in an unfamiliar room with a load of couples we had never met. We first met Juliet when I was about 5 months pregnant. After that I had listened to the first CD she had given me a few times a week and found it to be really relaxing. I also tried to do the other exercises as often as I could and whenever I thought about it. Every time I listened to the CD I had a feeling that I could cope with anything – no matter what terrifying thoughts may have entered my head that day! On the day I turned 38 weeks I pulled out the second CD and began listening to that. Around the same time I noticed that I was getting occasional period type pains but only a couple a day. I told the midwife when I was 38+1 and she said it sounded like my body was getting ready and also told me the head was starting to engage! The following day (38+2) was my last day a work before beginning maternity leave. I realised by lunchtime that day that I was having several brief period “pains” but laughed it off with my colleagues that I was not going to make it through my last day. I did make it though – even though the “pains” became more and more regular. I was torn between excitement and fear – but pretty much assumed this was a practice run as they never got closer than about 20 minutes apart and weren’t painful at all. On the next day (38+3) they continued all day getting closer to 10 minutes apart. Then I got the fear – I decided in my head that I wasn’t ready to become a mummy quite yet. (I had always expected to be late being my first.) Surely enough, my body slowed down and the ripples became further apart throughout the day. On the following day (38+4) I became all excited again that I might be getting to meet my baby soon and decided to try and speed things up again. I listened to my hypnosis CD and burned Clary Sage in my oil burner. Surely enough every time I imagined the rippling lake a ripple would happen. As it got to the night my contractions got as close together as 5 minutes apart but then I got the fear again and was too frightened to call the hospital. During the night the ripples slowed down again to about 15 minutes apart. I called the hospital in the morning (38+5) to say what had happened that night and they told me the “contractions” must be consistently 3 minutes apart before I come in but they were sure it wouldn’t be long now. I was half relieved I didn’t need to go yet but also a little tired from having ripples all night. After a rest in the morning I tried speeding things up in the afternoon and surely again the ripples got to 5 minutes apart by the night time but again I got the fear and everything slowed down again by morning. On the next day (38+6) I decided I was going to take a rest from thinking about going to hospital. I watched TV and snuggled in my duvet all day and everything slowed right down. The ripples never fully stopped but were about 40 minutes apart. Again the next day (39 weeks) I decided to take a break from trying to bring it on however the ripples were much more painful than before and in my back. I hadn’t found them to be too uncomfortable up to this point but I decided to take paracetemol this day to try and help with the feeling and my mum kindly came and visited and massaged my back for me. Again they were never more than half an hour apart. On day 39+1 – it was the 1st of December. 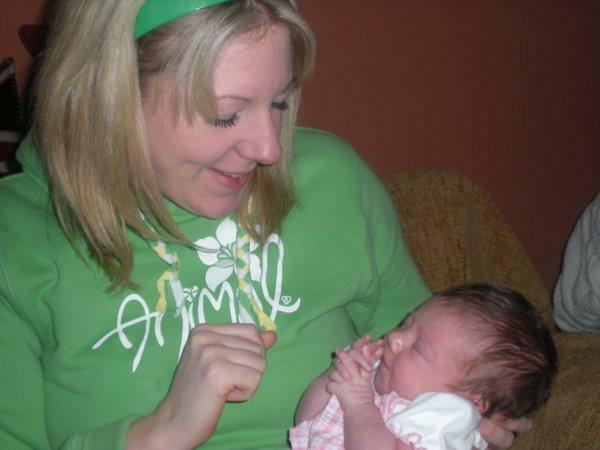 My sister-in-law wanted me to have the baby this day as it would be the same number of days early as it was for her first baby. She came to visit me and decided to try and bring the labour on. She brought her baby for me to cuddle and we went for a long walk and I ate pineapple. Everything seemed to have pretty much stopped at this point and I felt so exhausted physically (from very little sleep) and mentally (from all the emotional ups and downs of the week). I decided to visit my acupuncturist that afternoon to see what she thought. She thought I didn’t seem mentally ready even if my baby and my body was, so she decided not to treat me to bring on the labour but instead to relax me mentally and emotionally. After visiting her I felt a new lease of excitement and energy and decided to give the hypnosis and Clary sage another go. That evening the ripples got to about 4 minutes apart and again were painful in my back and I felt like the baby’s head was pressing really low and I felt like I sort of wanted to push (although not overwhelmingly). I felt ready to go now so called the hospital. When I phoned they again told me they need to get a bit closer before I go in. I called again a little while later to ask about the back pain but they said that was normal. A little later again I had some blood and panicked so called the hospital again and they told me it was totally normal and to call again when the contractions were closer together. Unfortunately they didn’t get closer than 4 minutes all night so after a night of no sleep I felt in a bit of despair by the morning (39+2). My mum came and visited me that morning and called my community midwife to check on me – which she did. Firstly she told me that I was unfortunately having a very long first part of labour but offered to send me to hospital to have Pethadine to let me get some rest. I was not keen on having any type of pain relief but at this point the idea of some sleep was very appealing. She then offered to examine me and see if I was getting anywhere. When she examined me she couldn’t believe it but told me I was already 7cm dilated and had been doing really well to get this far at home by myself. I felt another surge of excitement and energy and rushed around to get ready to finally go to the hospital. Suddenly all fear had left me and I couldn’t wait to meet my baby. At the hospital I went to an active birthing room which didn’t feel like a hospital at all. I had put on my birth plan that I wanted to be left on my own with my partner as much as possible and that I didn’t want to be examined too often. They really followed my birth plan to a tee! At first as we were left for a few hours on our own. Luckily the pain in my back had stopped and I was still having ripples – only every 10-15 minutes though. I expect on some level it was the nervousness of being in the hospital. I actually kind of wished I hadn’t asked to be left alone as I wanted to know what was happening. After 3 hours my midwife came and visited me and examined me. She told me I was still 7cm but she could feel a bag of waters right in front of the baby’s head. She said that if she was to break the waters the baby’s head would be able to press down further to help open my cervix more. I didn’t hesitate in responding. I was ready now. She broke the water and we headed for the birthing pool. The birthing pool room was dimly lit and I forgot I was in a hospital at all it was so relaxing! I played the second CD while I was in the pool and the ripples got really close together. I found the CD really relaxing and it reminded me to keep relaxing and let my body do what it’s meant to. I felt it was much easier to cope with the ripples if I relaxed – as soon as I tensed but and resisted them they were much more uncomfortable. Even at this point in the pool I knew I must be moving on I wouldn’t have described the feeling as pain (apart from maybe period pains – but not even much worse than period pains I had experienced). The only thing I felt was difficult was that there was very little time between ripples so no time to relax – plus I was exhausted from no sleep. After a couple of hours in the pool I decided I didn’t want to stay in the pool. It was too warm for me as I was getting hot from the ripples and I couldn’t get into a more upright position that I felt I needed to be in. We moved back to the first room to free up the birthing pool for someone else. After a few contractions I said I really wanted to push. The midwife told me to resist pushing as when it’s time I won’t be able to say I want to my body will just do it. I couldn’t tell if I was pushing or if it was my body so she offered to examine me again. I was keen to find out so she looked and told me I was 10cm and I could push if I wanted to. She explained that I need to give 3 pushes for each contraction and not to make a noise just focus on the pushing. It took a few of contractions to get the hang of it but it was brilliant advice. The only position I felt comfortable in was standing up and squatting for each push. Luckily there was a pole attached to the wall for this very purpose to help support. By now I was really ready to meet my baby and I forgot all about how tired I was. I pushed with everything I could each contraction and very soon after starting I could feel the head pushing right down. As I stood back up I feel the head go back inside so from there on I stayed squatting to stop the head going back up. I pushed a few more times and I felt the burning sensation of the head crowning which surprised me how quick it had happened so I stopped pushing when I felt it. This was the only point I thought I need pain relief now as this is going to hurt – but I knew it was far too late for that! Next push I decided to just go for it as I have to do this bit – there is no turning back and no point delaying it. I pushed really hard and to my surprise the head popped out. There seemed to be a bit longer before the next contraction. The midwife encouraged me to push but I knew it wasn’t time. I waited until the next contraction started and gave a big push and in a few seconds my baby boy was out. Unfortunately I didn’t get to hold him straight away as the cord was round his neck but my husband held him while the midwife unravelled the cord and he quickly breathed after that and I got to have skin to skin contact and he latched on by himself straight away. Even though I decided to have my baby at hospital I found the midwives to be really supportive and the atmosphere was so homely. The midwives were really pleased to see that I had hypnobirthing sessions and did really well to use the terminology, and totally stuck to my birth plan! Even though my story sounds like a long ordeal I really think it shows how your mind can have such an influence over your body. Every time I used the hypnobirthing techniques they sped up my labour and every time I decided I wasn’t ready and stopped using them I slowed down. Also a lot of the course was about understanding what is happening to your body during labour and being of the right attitude. From when I got to the hospital to giving birth I managed to have no pain relief all because of the things I learned from the hypnobirthing course. I definitely understand how people can describe their labour as pain-free however as Juliet explained from the start “pain-free” doesn’t mean you don’t feel anything. You feel your body working to push your baby out and it isn’t the most comfortable feeling – but it doesn’t have to be painful! Saturday 8th October Walked into Farnham to have lunch for a friend’s birthday, when I arrived at the pub I realised I had lost some of my mucus plug. I then walked home from the pub (approx 1.5 miles each way) and noticed I had lost a little bit more. Sunday 9th October Went to my Aunt and Uncle’s for the day. Whilst there we took the dog for a (approx) 2hr walk which involved climbing over stiles! Again I lost more of the mucus plug throughout the day. I then Woke up in the night and was awake for 3hrs with period pains that lasted approx 30-45 seconds every 13 minutes. I fell back to sleep and woke up in the morning to nothing. Monday 10th October When I woke up I had what seemed like a trickling of water but realised it was probably just more of the mucus plug. I decided to continue with my normal routine so went swimming and swam just over one kilometre. I then had to go to court as we had taken our plumber to court and the date was today, the hearing lasted just two minutes. I then went and bought the plastic sheeting we needed and – most unlike me – a large bag of malteasers! I think I knew something was going to happen as when I arrived home all I wanted to do was sit on my pregnancy ball and sniff clary sage! I also wanted to walk so when Matt arrived home went for short walk to the post office (I was conscious of not going too far!) At 8pm we were sat watching Eastenders & I started to get the period pains again. I had three period pains that lasted about 30 seconds within 45 minutes, at 9pm we decided to go to bed and watch TV. I did however take a look around the lounge and realise there was just one thing I didn’t think I would be able to do if I was in labour and that was move the trunk we have as a coffee table, so I asked Matt if we could move it then. Again I think I knew something was going to happen. The crampings continued when I got to bed. At 10pm I decided to go to sleep but the crampings intensified. At 11pm I became quite uncomfortable with back pain so was in and out of the bathroom. I listened to my hypnobirth CD and used some techniques that helped me to deal with and alleviate the back pain allowing me to fall back to sleep for about an hour. When I awoke the back pain had returned so I was again in and out of the bathroom – for some reason sitting on the toilet helped me to feel more comfortable. At 3am I felt as though I wasn’t coping very well, being a Hypnobirthing practitioner I had it in my head that I shouldn’t be able to feel anything (thinking with a more realistic head I know that with the fertility2birth programme we are very aware of managing expectations and not telling our clients that they will not feel any discomfort throughout birth. Our programme helps women to manage any discomfort of birth and this is something I did really well). I woke Matt and asked him to start getting the room ready downstairs, filling the pool etc and to call my friend Helen who is a midwife and was to be our birth partner. Helen arrived at approx 3.45am and immediately I felt calmer. Helen asked me some questions and helped me to remember some of my breathing techniques. At 4am Helen suggested I take a couple of paracetamol which I did. Helen then called Tanya, the midwife on call & explained exactly how I was feeling, she arrived at 4.29am. Tanya examined me internally and said that I was 100% effaced but not yet dilated, this was a huge blow for me as I felt I was quite far on due to the feelings I was experiencing. However when Helen asked who we should contact when I need someone to come back (Tanya was only on call until 8am) Tanya replied that she would be back before 8am, she said that I had done the first part very quickly for a first time mum and that the baby’s head was very low. Tanya also felt the position of the baby, throughout pregnancy the baby had been in exactly the correct position – until about two weeks before I went into labour when she switched to lay on the right side of me. When Tanya felt this she told me that the baby was going to turn around to my left side throughout labour and although we want her to turn via my front she is going to turn via my back. I believe this is what caused me to have the back pain throughout and unfortunately no relief from any discomfort in between contractions. Tanya then went home and said she would see me later. I continued as before with Helen and Matt there helping. At approx 7.30am things had intensified so Helen called Tanya back. When Tanya arrived she did another internal examination and told me that I was 3cm dilated. This didn’t make me feel great as I was so desperate to get into the pool but I was pleased to be progressing. I was however refusing to sit or lay down. Tanya and Helen told me that I needed to get some rest to make sure I had enough energy for the later stages of labour. I was so worried things would slow down but I also knew that I needed to conserve energy. I curled up on the bed and got into a zone. Helen & Tanya stayed with me but I was very much in my own place, it was extremely calm, they were both very quiet whispering only words of encouragement to me every time I had a contraction which really helped. At one point Tanya gave me a lovely foot massage which really helped things get going. Suddenly, after two hours rest I felt the need to push. I told Helen & Tayna this and Tanya offered me another international examination. I was 7cm dilated. Hearing this was like music to my ears, I could get in the pool. The baby’s head was so low it was pushing on the Ferguson reflex point, which was making me push. Tanya said I should try to breathe through the pushing to avoid swelling of the cervix but that my body knew what it was doing so to just go with it. At 10.30am I rushed downstairs and ‘jumped’ into the pool. The relief was immense, I had a little cry as it was so beautiful, Matt had lit candles all around the room and put the motivational signs that I had made myself up on the walls. There was also music playing, LeAnn Rimes followed by Lionel Richie. I remember at one point he put on Leona Lewis – Bleeding Love, all the girls questioned him on this one! Matt put some Clary Sage into the oil burner and also a flannel covered in Clary Sage by my head this really helped things move along. At approx 11am the second midwife, Deena arrived. My time in the pool was just beautiful. The atmosphere in the room was lovely; I think that the midwives, Helen, Kate (our birth photographer) and Matt were all having a nice time and a bit of a laugh. At certain times I was able to join in the conversation but for the majority I was focusing on what my body was doing. I do remember that I was shaking quite a lot and was concerned that it was because I hadn’t eaten so I asked for some pineapple. I do feel that the shaking subsided after that. I enjoyed reading the signs I had made myself while I was in the pool and just really appreciating the experience I was getting – after all everything was going exactly to plan, I couldn’t have wished for anything different. I was pushing from 10.30am (from just before I got into the pool) but my second stage of labour (from when I was 10cm dilated) was only 17mins. I pushed Ezra out in a very controlled, calm way. At 12.55ish I felt myself push her out, seconds later the midwives were shouting at me to ‘catch my baby’ it felt like minutes before I registered what they were saying but then I reached down and brought her to the surface. We stayed in the pool until I had delivered the placenta. It was such an amazing beautiful experience and one I can safely say I experienced every little bit of. Fully managing to deliver naturally with only 2 paracetamol at the beginning to mask any feelings is something I had said I wanted to do, even refusing to hire a tens machine. As someone who works with pregnant woman, educating them in a very successful hypnobirth programme I wanted to be able to talk from experience in the future and didn’t feel I could do this if I had masked my feelings in any way. Despite the fact there were times when I looked at my bed and thought I wish I could turn a switch, stop everything and just collapse on the bed and fall asleep I feel that the techniques learnt and the information given in the hypnobirth programme meant that I could manage the feelings. I remember reciting certain parts of the programme to myself in my head when I was particularly uncomfortable and the techniques were invaluable especially in the early stages. One thing I will always recommend to people in future is that they have a second birth partner. Helen was amazing, both Matt and I say we couldn’t have done it without her. Having her there meant that Matt could get everything set up without needing to worry about me, she was also able to support Matt & keep him calm during a time that is often a bit scary for men. I was very lucky to have had a home birth, after Ezra was born I stayed in the pool for about half an hour while we waited for the placenta to come, this meant we had some great skin to skin contact. Once the placenta had been delivered I passed Ezra to Matt and I got cleaned up and checked over by the midwives. I then got comfy on the sofa and Ezra was laid on me for some more skin to skin and to start feeding. Matt made everyone pizza and tea and we had a really nice time chatting and eating while the midwives wrote up their notes. After about an hour the midwives checked Ezra over and then left shortly after (they returned in the evening to check we were ok and every day for ten days after the birth). I was able to have a shower in my own shower, get changed into whatever I chose out of my wardrobe and then snuggle on the sofa in front of the TV with Matt and Ezra… bliss. Here is the video that goes with the below story, please note it is quite graphic & loud so consider where you watch this! I was privileged enough to attend the homebirth of a HypnoBirth couple that I had worked with. I was asked earlier in the year to be a birth partner for Cheryl and Rob and I jumped at the chance. I’d never been to a live birth before and I don’t think being an avid viewer of One Born Every Minute really means I have a good knowledge of what women experience during birth. For the past month I’ve been waiting for that phone call from Cheryl, making sure my phone goes everywhere with me and is on loud at all possible times! Cheryl was convinced the baby was going to come early – to the point she almost ordered the birthing pool to arrive a month early, however as it was the baby came a few days late. At 5.30am on Thursday 2 June I got THE phone call. Cheryl had been having ripples (what we call contractions in the Fertility2Birth world) since 3am. She was however still laughing, joking and sounding incredibly normal so we arranged for me to get there at 7am. This gave me enough time to get showered and nip to Tesco to get straws (essential birth item! ), pineapple – well if it brings on labour it must keep it going too right?! Energy tablets, again another essential birth item and bananas to keep that energy up. Thankfully everything got used, the pineapple was eaten when I arrived, it turned out we only needed one straw not a pack of 200 but hey better to be safe than sorry. Cheryl was stuffing the energy tablets in like I’d never seen; the labour was making her feel as though she was going to be sick so although she wanted to keep her energy levels up she found it difficult to eat anything. Finally a banana on toast sorted Cheryl out once she had birthed the baby. I drove to Cheryl and Rob’s house feeling incredibly mature and responsible. I wanted to stop people in the street and say “guess where I’m going” or “I’m going to watch a baby be born”. I knew it was just going to be a fantastic experience because I knew how much effort Cheryl and Rob had put into their HypnoBirthing. When I arrived Cheryl was still laughing and very much her usual bubbly self. She was breathing through all the ripples in the exact way we had discussed and Rob was being very successful at making her laugh – one of the birth partner’s duties. The ripples were coming every 3 minutes and lasting approximately 45 seconds. At 7.30am the midwife phoned to see whether she should pop in before a 9.30am appointment that she had elsewhere or after. We agreed that she should come before. I was incredibly aware that HypnoBirth Mum’s are a lot calmer so it would be good to know how things were progressing instead of relying on a screaming Cheryl. Tanya one of the midwives from the brand new Royal Surrey Hospital Home Birth team arrived at 8am. She found Cheryl in the same state as I had; calm, relaxed and giggly. Tanya pretty much said “you’re doing great, call me when you need me. I won’t be far away, probably see you this afternoon” but she offered to do an internal examination if Cheryl would like one. We thought it was probably a good idea and it was lovely to find out Cheryl was already 2-3cm dilated. Tanya said the same again “I’ll go off, call when you need me… see you later!” We had a brief conversation about what we should look for, again keeping in mind how calm and in control HypnoBirthing Mum’s often are. Tanya told us to call when Cheryl couldn’t talk in between ripples and also told us a trade secret. There was a pink line that started at the top of the crease of Cheryl’s buttocks. This, Tanya said would go a dark purple as she dilated more. We should keep checking that and call when it was a darker purple. At 9am we were left as three again. Within 10 minutes things suddenly changed. The ripples became more intense and then Cheryl’s membranes ruptured. Cheryl felt that she needed to wee so off she went to the toilet. Here we could clearly see the transition from the first stage to the second stage of labour. Knowing that a birthing woman is best left alone we did our best to leave her in the bathroom popping in every now and then to check she was ok. At this point Rob started to fill the birthing pool. At 9.40am after a very intense 30 minutes the pool was ready and we helped Cheryl to get in. I reminded her to relax, talking her through all of her muscles and she became very calm again. At 10am Cheryl told me she needed to push, at this point poor Rob was rummaging through a cupboard trying to find a fan as Cheryl was so hot. I shouted to him that he needed to call the midwife, “ok I’m just trying to find the fan”… “No Rob I think you need to call now”… “Ok won’t be a minute”… “No Rob NOW”! He finally understood and called but Tanya’s phone went straight to answer phone! This wasn’t a problem as he just called Jane, head of the homebirth team, instead. Jane said she would leave the hospital immediately. It’s only ten minutes drive away so we knew she would be there very soon – especially if she put her foot down! – However at 10.30am she still hadn’t arrived and Cheryl was still pushing! At 10.40am we thought it best to call Jane again, thankfully she was just pulling into the road. When Jane arrived Cheryl calmly told her what she was feeling, including the pushing. Jane said this was fantastic but she’d just do a quick internal examination to check everything was ok to push. Jane did this and in a surprised but happy way said “OK I can feel the head, push all you like”. This was fantastic news especially as Cheryl was still so calm. Tanya arrived at about 11am and we all spent the next hour really encouraging Cheryl. At approximately 11.50am after a huge sniff of Clary Sage (which is amazing during labour) everything intensified and at 12.07pm little Zara Walker was born. Rob and I were a complete mess crying our eyes out. I think even the midwives had a little tear but Cheryl was just beaming at her brand new daughter. It really was a truly magical experience. For those that don’t follow on facebook or twitter, or those that missed it I put together this lovely slideshow of pictures from the morning click here. It’s very short but well worth a watch. If you are pregnant and not considering a HypnoBirth maybe this will change your mind – it really can make for an amazing birth experience. Babies born using HypnoBirth tend to be calmer, feed better, sleep better and experience less trauma, because they are more often than not gently and calmly breathed into the world at their own pace. Scientific research has also shown that the babies usually have higher Apgar scores as well. One thing I would like to add is a big thanks to Cheryl and Rob for being so dedicated to the HypnoBirth. They did all of their homework religiously. We say to listen to one CD every day but Cheryl was listening to both of her CDs every day. Throughout the birth I kept hearing Rob saying little things that he had picked up from the HypnoBirthing and so well done Rob for listening and obviously doing reading after the sessions. When I arrived all of their HypnoBirth pack was out on the table so they had obviously been looking through it in the days or weeks leading up to Thursday. Thank you, congratulations and well done Cheryl and Rob. To watch the photo story of this birth please see the video at the top of the story. 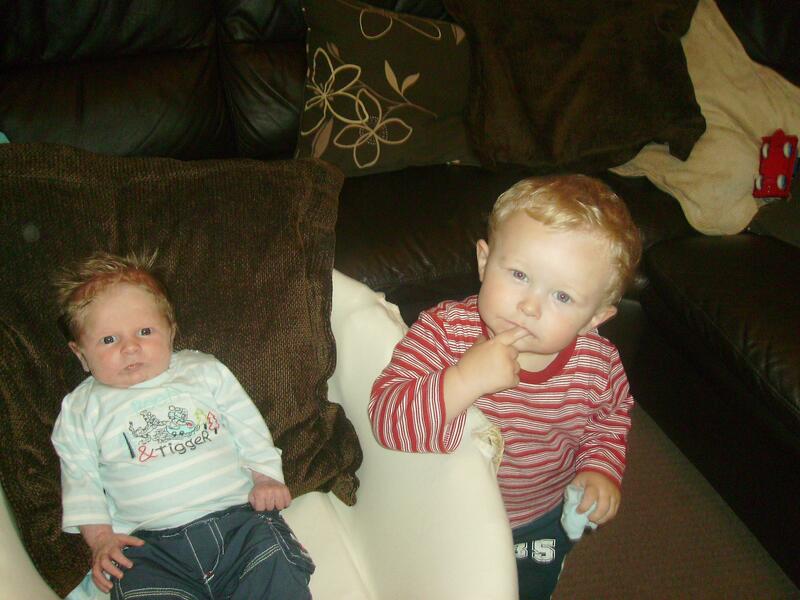 Story told by Natalie, Natalie is the mum of a five month old baby girl called Tallulah and below is her story of how Fertility2Birth’s HypnoBirth program helped her through her pregnancy and birth. “I felt, before I had a baby, that there was an elite group of women telling you that you will know what they have been through once you have had your baby. It is like this clicky group that find it quite easy to tell you all their horror stories. Or they just won’t tell you anything. As soon as I had Tallulah I wanted to tell people and inform them of just how my birth had been, and share that birth doesn’t have to be like that. I thought beforehand that it was going to hurt and that I was going to tear, I was so anxious about it all, I mean really anxious. I remember having panic attacks on the toilet as I was having a pooh. I was constipated and I likened this to having a baby and surely having the baby is only going to be worse because of the size. I also never thought that I would have a baby because of the pain, I passed out when I was a kid and had my ears pierced, I pass out when I have needles. I would love to give blood as I have a rare blood type, so know that I should but I would rather have another baby than give blood! There are many things from the course that helped me during my pregnancy, like having pictures and sayings stuck around the house, from a picture of a baby in the correct birth position to positive affirmations that I had to write, although I did find this very difficult, as we don’t often say positive things to ourselves. I felt that I had done all I could to prepare myself for the birth. From the HypnoBirth to yoga, I read and looked at everything, and just knowing that Sue was on the phone at any point reassured me a great deal. I am so happy that I wasn’t overdue; I kind of knew that I was ready even though she was early, but I was prepared. I didn’t go into hospital thinking that I was having a premature baby, I didn’t even worry that they would take her away, and I didn’t think that she would be in danger which is really bizarre. It is as though my brain had changed everything into a positive. I had been into hospital 2 weeks earlier, when I was 34 weeks, as I had some bleeding. Whilst I was being examined I just thought of the lake, concentrated on my breathing and tried to keep my bottom jaw relaxed. All of this helped so much as I hate having smear tests and examinations. This happened again at 36 weeks; I just thought here we go again. It was a Saturday night and we had sky + Ant and Dec, I was just settling down to watch it, Craig was cooking us a curry and I went to the loo, when I wiped it was just like the last bit of a period, sorry for being graphic but I think people need to know. When Craig bought me my dinner I told him that I had had some blood on wiping, as he passed me the tray I felt something just like a period cramp, I didn’t think anything of it. I had no idea that this was the start of labour. So I ate my dinner just in case I needed to go to hospital again due to the bleeding. Thinking of it I never did get to watch Ant and Dec as he deleted it! The cramps started coming regularly so I thought that we had better call the hospital, I wasn’t in any pain, just a slight discomfort. I also realised that I hadn’t got any make up on, and that my bag and the baby’s bag wasn’t done, so I went upstairs and pottered around for about an hour just calling down to Craig every time I felt a contraction, but again I wasn’t in pain. We were advised to go into the hospital to get checked due to the bleeding, so as we eventually got into the car, Craig said shall we take the baby seat, I told him not be stupid, why would we want it, as I couldn’t be in labour. I thought I was having Braxton Hicks, as they were not painful; they were inconvenient, and annoying. I felt like I needed a great big pooh a little bit like having stomach bug. We decided to take the baby seat and in hindsight I am glad that we did. On the journey all I needed to do was my breathing, I loved the breathing because I had been into hospital so many times what with my scans and bleeds and when I did my breathing Tallulah would always kick and move around, this would always reassure me that she was ok. When we got to the hospital I thought that it would be like it is on the films, that the car would screech to a halt outside the doors and then there would be loads of medical staff waiting with a wheel chair, oh no, we had to park miles away and then climb what felt like a million sets of stairs, it is not like it is portrayed on the films and TV so why do they need to portray it that way, always such a drama, mind you I suppose that TV does that all the time, they always televise dramatic births but never calm ones and we wonder why we all have this fear of childbirth! Even when we got to hospital I still did not think that I was in labour. They showed me into a delivery room, I sat on the bed and saw the baby cot, and for the first time I actually thought that this might be it. By this time my ripples (commonly known as contractions) were increasing, they still were not painful there were just more of them and they lasted for longer. The midwife then came into the room and asked how I was feeling and then asked if she could examine me, to my astonishment I was nearly 7 cm’s dilated! I asked her if I would be going home, much to her amusement. My legs then started to shake as I realised that this was it I was going to have my baby girl. I then started asking her about everything that was going to happen as I love to be in control. If I know about it I can then remain calm about it which the HypnoBirth has taught me, it also taught me that I can deal with needles if I have too and not to worry about it. I told the midwife that I didn’t want Pethadine because I believe that it can make the baby floppy and spaced out and also because it is morphine based, it may sound silly but heroin and morphine are in the same family, heroin is a nasty drug and I never wanted to put that in her or me. I just continued with my breathing, as I was doing this I was concentrating on a grey plug socket and the midwife was just casually putting things around the room. I asked her about pain relief and she then told me that I was just frightened. I hadn’t noticed but I had become frightened, then I remembered about the fear tension pain syndrome that I had been taught and how that would affect my labour, so I concentrated on becoming calm, with my visualisation of the island and my breathing. The midwife did say to me that I didn’t seem in pain, and when I thought about it, no I wasn’t I was just a little scared of the unknown. I then remember that the midwife lifted the sheet to see how I was doing and I told her that I was having another one whilst talking all the way through it. She then stood to one side, I wondered why, I thought that can’t be the head surely not, but oh no my membranes ruptured and no word of a lie my waters shot across the room at least 10ft! My immediate reaction was has it hit my new boots, which thankfully it hadn’t. The midwife then told Craig to come and have a look as they could see Tallulah’s thick black hair; she was sitting there just waiting to be born. At that point I asked for some gas and air, not because I was in pain, but because I felt that I wasn’t in control, but it didn’t last long. Looking back now, if I hadn’t done the HypnoBirth program I think just how out of control I would have felt right from the start and how different my birth experience would have been. This is why I wanted to write my story, to educate other anxious mums and let them know that it doesn’t have to be like that. If I had not been bleeding there is no way that I would have gone into hospital and would have probably had Tallulah at home, which actually was my intention from the start. Anyway very shortly after my waters had gone, I thought to myself how am I going to know that I need to push but about 30 seconds after that there it was, just as Sue had taught me, an overwhelming urge to bear down just like I needed a pooh, the midwife told Craig to hold one leg and she held the other and I just started pushing, I don’t remember feeling any contractions, I just remember thinking the harder I push the quicker she will be out, which in hindsight was probably not the right thing to do, as I wasn’t listening to my body, after 41 minutes there she was, my beautiful baby girl. 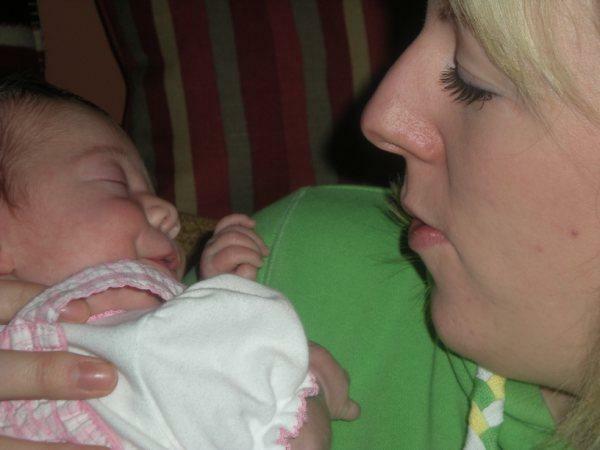 As soon as she was born she was taken by the pediatrician to be checked out as she was only 36 weeks. She was then handed to Craig, at my request, as I wanted him to bond with her as I had carried her all this time. He keeps me safe so I wanted him to do the same with her. I still couldn’t believe that I had done it; I thought that it was going to be worse than it was, but it hadn’t been. The placenta was delivered 13 minutes after delivery, the midwife had a few tugs on it which I felt was quite annoying, but I then pushed and it just came away. I did have a small tear but I feel that this was because I was pushing too hard as I am stubborn. I didn’t allow my body to adjust, this I will remember not to do next time. I didn’t have my tear sutured and it healed nicely so just remember they don’t always have to be sewn up, just remember when you go for a pee afterwards gently pour warm water over the area to help dilute the urine, which prevents it from stinging. Tallulah weighed 6lbs and 8oz which was a good weight for 36 weeks; they did put her in a warming cot although we noticed that it hadn’t been working and she had been maintaining her own body temperature, which meant we soon had her out of there. Story told by Kim, Bailey’s Mummy. We had our first son in April 2009. I was induced at 6 days overdue and had a long and hard time as you can see in the picture. 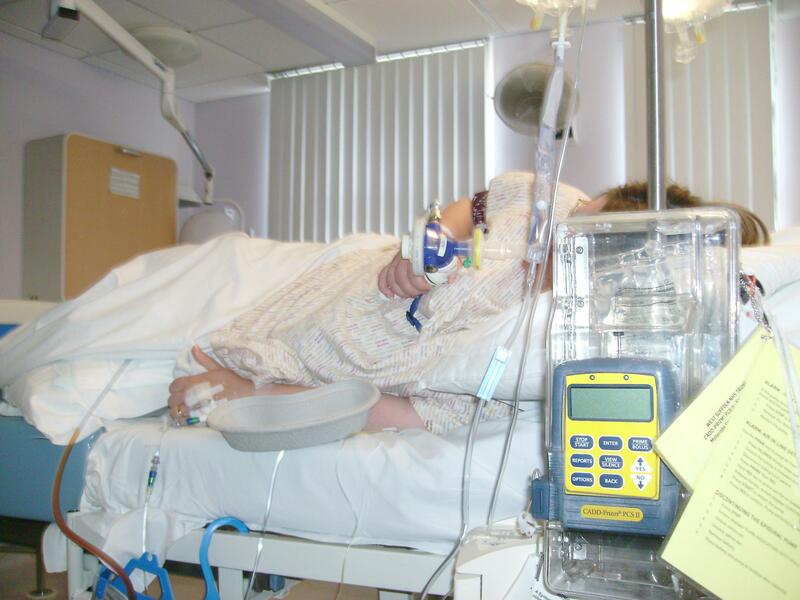 It was a heavy medically involved delivery and I had to lie on that bed for around 12 hours. I had entonox, pethidine, 2 epidurals, a pitocin drip as well as a catheter. I also had to have a heart monitor put on Alfie’s head whilst he was still in my womb. Whilst my placenta was delivered or more pulled out, it tore and 9 days after delivery I haemorrhaged and had an operation to stop me bleeding. Although all said Alfie was delivered healthy. I know that pictures of yourself after delivery are not always the most flattering but my gosh I looked like I had been through it! Then we fell pregnant with our second baby, I was determined not to have an experience like this again. My midwife put us into contact with Sue Smith a local hypnotherapist that specialises in birthing. And as a result the delivery of our second baby was the most magical experience of my life. Bailey was 6 days overdue. I was woken up at 6am on the 11th September 2011 by a familiar feeling. It was bound to happen this day as my in-laws were renewing their wedding vows later that day! I left my husband and Alfie in bed and timed the ripples (contractions) and they were coming regular and fast. I woke David and called my parents to come and collect Alfie. After having a shower we called the hospital and went in. Within ½ hour of being there the ripples stopped I was encouraged to walk around the hospital, and after 4 laps nothing, I was offered a lavender bath and even had breakfast in there too but nothing. We went home and waited for it all to start again. Once we got home they started but where very irregular. After having something to eat, I thought I would get some sleep as I was expecting it to all start again at some unsociable hour later that night. I woke at 6pm and after a while could not feel Bailey move and he had been fairly active all day. I called the hospital and they asked us to come in for a trace, as I was not having any ripples we thought they would check Bailey was ok then we would go home. We left the bag in the car and walked into the delivery suite. After having the monitoring belts put on I started experiencing strong ripples and asked for some entonox as I could not move off the bed whilst being monitored and rocking my hips was how I got through them. Within a few minutes I was in full labour. It started so quickly. I started to panic as I did not have any of scripts or music with me as they were in the car. David called Sue and what seemed to me like seconds she was beside me talking me through my hypnobirthing. I focused on my lake and my breathing. By this time there where no midwives with us. I started to push, I could not control it. Sue recognised what was happening and “took a look”, there he was, she called the midwife who only just had chance to put her gloves on and there he was on my tummy. I was still pushing at that stage I had not realised I’d had him! As Sue can vouch for what can only be described as a lions roar which left me as I realised what had happened. WOW! A much healthier looking mummy from the last picture! Throughout the whole birth it felt like I was on the ceiling watching myself, incredible! I had no physical control over my body whatsoever; it just knew what to do. Bailey is such a calmer baby compared to Alfie and I credit that to his hypnobirthing. A wonderful experience I can not thank Sue enough a bond that will never be broken.